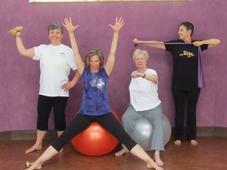 Read about the talented instructors who guide you in your practice at our studio. Professional Chef and Whole Foods Educator. 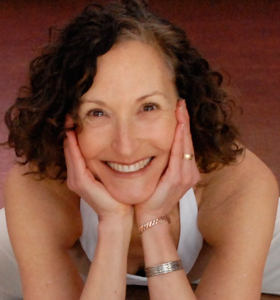 Lynne has explored the worlds of hatha yoga, spiritual arts, and the healing power of whole foods for over 30 years. 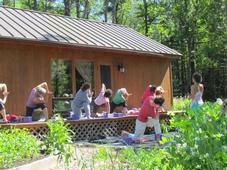 She has been on the academic faculty of Smith College since 2000, teaching hatha yoga to undergraduate students. She is a graduate of the Living Ayurveda Course and incorporates a working knowledge of Macrobitocs, Chinese Five Elements and Ayurveda into her private Younger AS You Age Holistic Health Coaching programs. 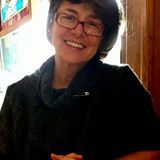 Lynne is skilled in yoga therapeutics and has a keen eye and intuitive understanding of the biomechanical principles of the body. She is committed to helping her students eliminate pain and suffering and to discover their radiant inner Light. 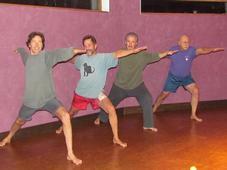 Lynne conveys a passion for the transformative power of hatha yoga with precision, humor and poetic imagery. She is known for her radiant smile, enthusiasm and joyful presence. Lynne brings a clarity of purpose to each class, and holds a vision of greatness and healing for all of her students. Geroge loves yoga. He has practiced on hillsides, beaches, granite peaks, in oceans around the world, on car hoods, in garden sheds, and parking lots. George imparts clear instruction through the imagery he employs in his personal practice. His invitation, to every student, is to create a space in which practioners may accept their imminent experience and refine their inner state. 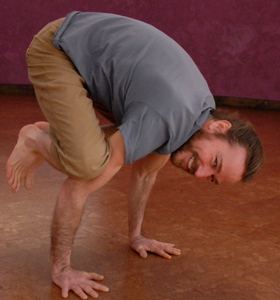 George completed the Prakasa Yoga Level 1 Teacher Training in 2010. His earliest yoga training came from the disciplines of chanting, meditation, ritual and selfless service. These spiritual practices led to the discovery and love of yoga asana practice. 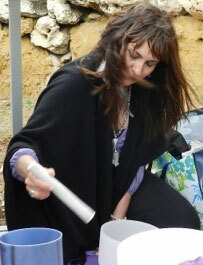 Auriel has studied sound healing with Tom Kenyon, Kirtan with many teachers and Shamanism in the Puruvian tradition. She is also is trained in Reconnection work. Auriel combines her love of sound and music with a deep understanding of the human body and the human energy system. Auriel is has returned and will offer Sound Healing concerts this Fall 2017. Dates TBA.